The new trend in the fitness market is to combine personal trainer, Pilates and yoga certifications. This is a great way to make you stand out from all the other personal trainers out there. And while the boom in personal training services has been happening, a similar surge in demand is happening for yoga and Pilates instruction. Let's face it, our clients like to follow the fads. And if something is hot, your best option is to provide some type of service. Rather than having your clients flee to yoga and Pilates class you can incorporate those elements into your training programs. There are many Pilates programs available including Windsor Pilates, Supreme Pilates, and Guthy Renker. On the yoga side, yoga teacher training is widely available. For example, incorporate some yoga poses into your stretching routine. Many clients appreciate the spiritual/meditative side of yoga as well. This is a great to cool down from a workout. 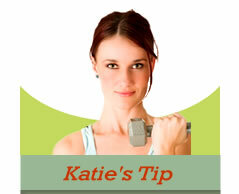 You can also incorporate Pilates method into your training program by adding some of the Pilates equipment. Adding personal trainer, Pilates and yoga certifications to your arsenal builds your credibility. It also gives you and your clients a talking point about your services. Your clients want to feel like they are getting a unique experience and by combining personal trainer, Pilates and yoga certifications you are giving them that! You also become an industry expert which is great for participating in news reports (but more about that in our Generating Publicity section). I am certified in both yoga and Pilates. I enjoy being able to teach both disciplines. I love yoga but sometimes I like to jump around a bit more especially after teach a bunch of yoga classes in a row. I am starting to add the yoga influence to my Pilates classes, and add a Pilates touch to my yoga classes. The response has been very favorable and I am working on my personal trainer certification. Having multiple certifications is great because it helps you fill up your billable time through the day. When I was just doing training, I would struggle to fill up all my time slots. But being certified in Pilates has meant that I can fill a lot of time by teaching classes. This has taken a lot of pressure off my personal training business and gives me a nice change of activity during the day.